We already know that HTC will be launching some new handsets including the One X and One S. Now, thanks to PocketNow, we have an official image of the HTC One X that the company will be announcing at the Mobile World Congress this month. Now earlier we heard that the Endeavor/Edge would be renamed as the One X, and there were some images leaked earlier on. But, this new image shows a similar handset, but with only three Android keys as opposed to four. 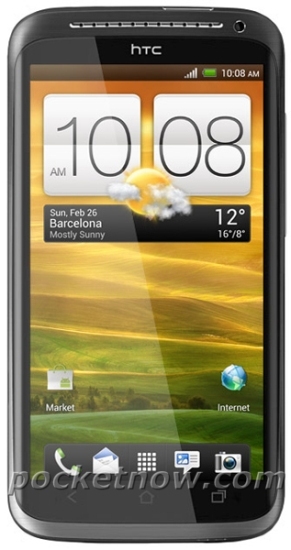 You can also see that smartphone will have the Sense 4.0 on top of Android ICS. Other specs that were leaked include a 4.7 inch 720p display, an 8 megapixel camera, and Qualcomm processor. So, just an official announcement by the company is required, and we shall wait as the Mobile World Congress is just around the corner.